Submarines of this type served in the German (UB-1 class), Austro-Hungarian (U-10 class) and Bulgarian navies. Preceded by the UA and succeeded by the UB II class (SM UB-18-47). 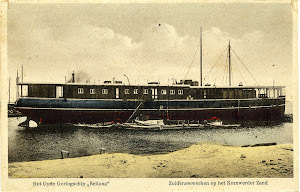 Building ordered on 15 November 1914, laid down by Germaniawerft, Kiel, Germany with yard number 241 on 3 November 1914, launched on 5 March 1915, commissioned on 14 March 1914 and disappeared after 23rd May underway towards Izmir, Turkey where she was to arrived on 28-29th May.